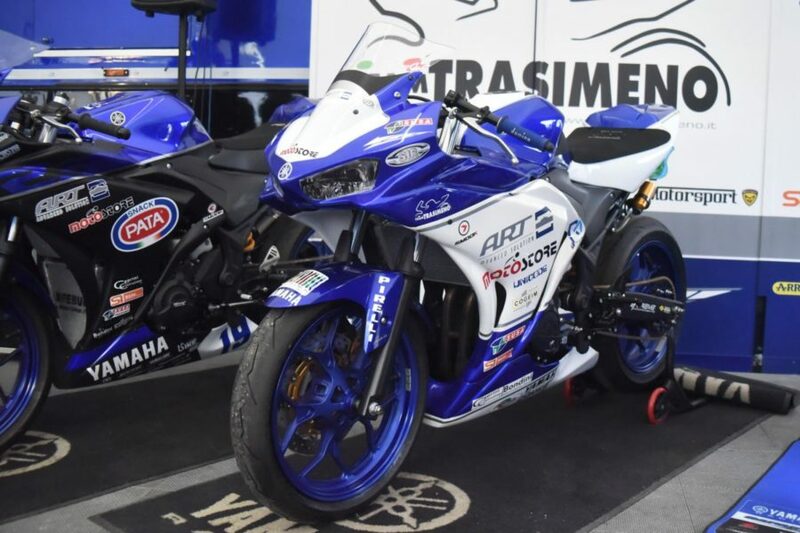 ART redoubles its efforts in the world of motorcycle races; presentation of the new team which will compete in the SuperSport 300 and Italy’s CIV championships. The evening was hosted by television presenter and producer Marco Cerbella, who announced a project of his that will involve us directly, a kind of diary of our sporting story. All our riders and drivers were presented to a large, attentive group of guests and we confirmed that we would take part exclusively in the 300 Supersport category. Luca BERNARDI, the 16 year old from San Marino, will defend his Italian championship in the CIV category and will head our team in the World Championship alongside Holland’s Joep OVERBAKE, who was unable to attend and was the evening’s only absentee. Competing with Bernardi in the Italian CIV Championship will be Omar BONOLI, the 15-year old from Lugo di Ravenna and the Australian Reid BATTYE, who is also 15.